Projects are increasingly becoming part of the daily business of many organisations, so the need for experienced and well-trained project managers is increasing as these organisations recognise the value of project managers with a track record of delivering complex projects successfully. Many organisations who assign individuals with little or no experience or training to a project manager role generally have a poor experience with project management. Organisations are striving to improve the success rate of their projects by employing people with the right skills and qualifications, or by training their existing project managers. A report titled, "The State of Project Management Training" from PM Solutions revealed an average 26% improvement rate across eight measures of project and business performance due to project management training initiatives. Professional qualifications and accreditation in internationally-recognised project management methodologies can provide valuable training, give clients increased confidence in the abilities of project managers, and can boost project manager salaries too. Keep the client and stakeholders happy: The project client and the stakeholders may, or may not, be the same people depending on the type of project. A stakeholder is frequently a senior executive or technical guru who has a vested interest in seeing the project to a successful conclusion because their personal reputation, or the organisation's reputation, will be at stake. 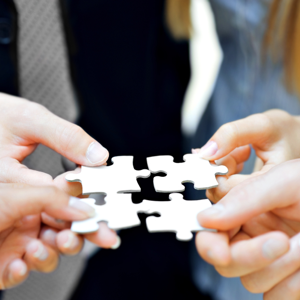 Don't underestimate the importance of having both client and stakeholders on your side. The stakeholders', or client's, level of satisfaction with the final project outcome is just as important as it being a technical success or a success "on paper", and maybe even more important. 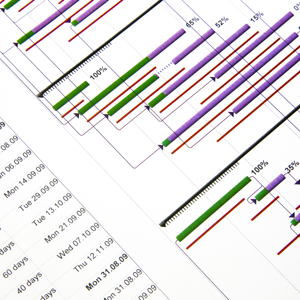 Adhere to the schedule: Every experienced project manager knows that the schedule established at the initiation stage of a project is almost certain to change as the project progresses, but it is the monitoring, managing and adaptation of the schedule to meet changing situations that will ultimately determine whether the project is viewed as having stayed on schedule. There is almost always some room for manoeuvre if the scheduling is handled effectively. Deliver quality: Most projects will have deliverables at various stages of the schedule, as well as the final end-product, and it is these stage deliverables that start to give stakeholders and clients an indication of how well the project is going, so ensure that every deliverable reflects the quality that would be expected of the final product. Control the budget: There is some evidence in surveys such as that by the Project Management Perspectives research group that if the final project deliverable substantially exceeds client expectations then a budget over-run can become less significant; it recognises a distinction between project management success, technical success and business success. Nevertheless, every project manager should put emphasis on staying within the defined budget at every stage of the project. Where budget over-runs look likely the first option should be to cut out some non-essential tasks and only agree to an increased budget at the request of the client. Meet the requirements: Every project should have a clearly documented set of requirements, in fact, as a project manager it is your responsibility to ensure this is the case. It is essential that the project meets all of the requirements, and just as essential that it meets only the documented requirements. One of the biggest causes of budget or schedule over-runs is scope-creep, where the requirements gradually increase to the point where they are substantially greater than those defined, and have little chance of being completed on schedule and for the budget available. 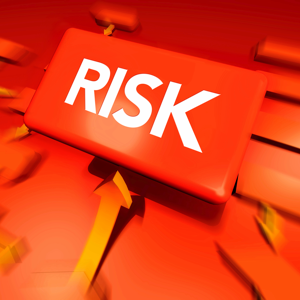 Manage the risks: It would be a very unusual project if something did not go wrong at some stage, so if you can anticipate the potential risks before they occur, then you may be able to prevent them from happening. If you cannot prevent them you will, at least, be able to control them because they will not be a surprise. 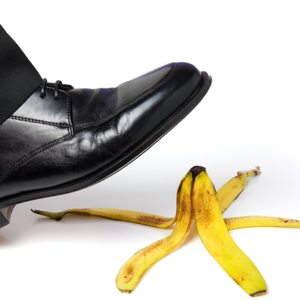 Every project should have a contingency plan in place to manage predictable risks. It is a common mistake to hope the risks will not occur and so not plan for them, and, whilst difficult to foresee every problem, many risks can be anticipated. Understand the dependencies: A dependency is a task that needs to be completed fully by one individual or team before another piece of work can be started. Understanding in detail how and why the second task is dependent on the first task is critical to project success. When a dependency breaks down and the first task is not completed (either satisfactorily or on time), this negatively impacts the next task and potentially further tasks, or indeed, the whole project. For this reason it is vital to track every known dependency throughout the course of the project. Communicate effectively: The proliferation of email as the alternative to face-to-face meetings, or telephone conversations, has its disadvantages as well as advantages. Whilst the written word is more likely to ensure that specific technical details are fully understood, email does not allow for the same level of relationship building and developing trust as verbal communication does. Don't let email communication take the place of verbal communication, but use it as an additional tool for good communication. Build a committed team: Building commitment in any project team will reap huge benefits during the course of the project. Projects undertaken without the full commitment of the stakeholders and the whole team are much more likely to fail. But agreeing on the work required, with realistic deadlines and expectations, is a major factor in the quality of the work and hence the success of a project, so should never be underestimated. Work collaboratively: Collaboration between teams, departments or even different companies is often necessary for large corporate projects. These relationships may be ones of choice, but they may also be ones of necessity. There may be underlying resentments and rivalries between different groups, but co-operation is essential for the success of a project. Involving members of all groups in the early decision-making process and planning stages will help to build a team-spirit and alleviate any hostility between groups. Aiming to understand the human emotions involved, and not just the human skills, will lead to a better understanding of the different groups and more effective working relationships. By focussing on these 10 key areas and supplementing experience and personal skills with the right project management courses, a project manager can deliver projects more successfully and ultimately advance their career.